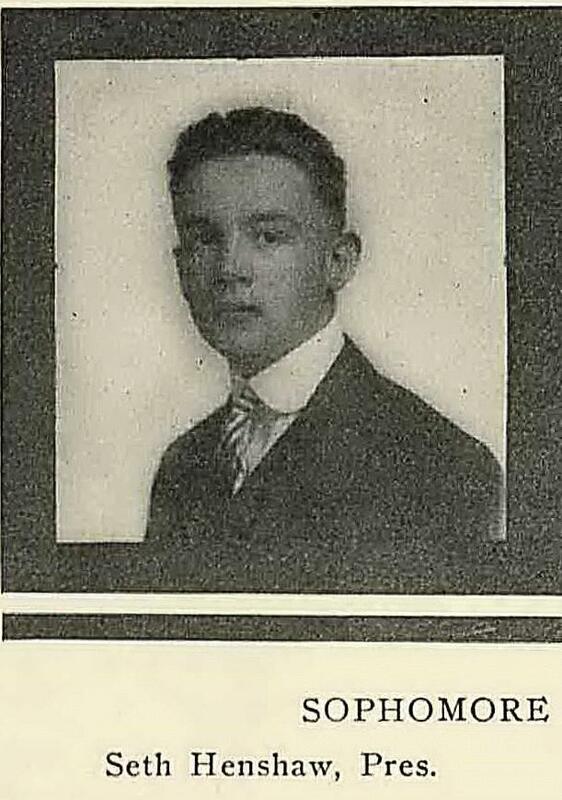 Henshaw Seth B jr, student, res Orchard Hill W C.
Henshaw, Seth, age 31, born Feb 24th 1898 in Alexandria, Indiana; married; address in the U.S.: 814 Washington St., Charleston, West Virginia. Henshaw, Seth, head-of-household, age 31, born in Indiana; parents born in Indiana; first married at age 30; rented home ($110 rent); radio in home; occupation: merchant, radio; World War I veteran. 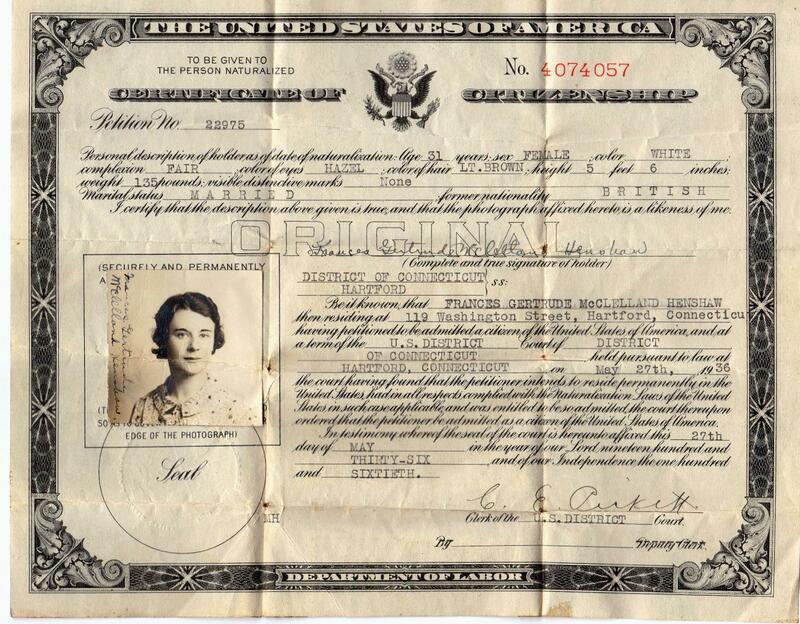 Henshaw, Frances, wife, age 25, born in Nova Scotia; parents born in Nova Scotia; first married at age 24; immigrated 1924, alien. 1910 census, Stockton, San Joaquin County, California; roll T624-103, ED 143, page 9A, line #20, dwelling #171, family #187. Register of former cadets : Virginia Military Institute, Lexington, Virginia, 1939; http://www.ancestry.com. New York, New York, Marriage Index 1866-1937; http://www.ancestry.com. 1930 census, St. Louis, Missouri; roll T626-1237, ED 59, page 16B, line #74, dwelling #119, family #300. Connecticut Death Index, 1949-2012; http://www.ancestry.com.